Circa 1941: Embracing the popularity of the Southwest scene of the 30s and 40s, Homer Laughlin's Mexicana decal with its simple array of various clay pots in dramatic light with green cacti in the background has become the most widely recognized. 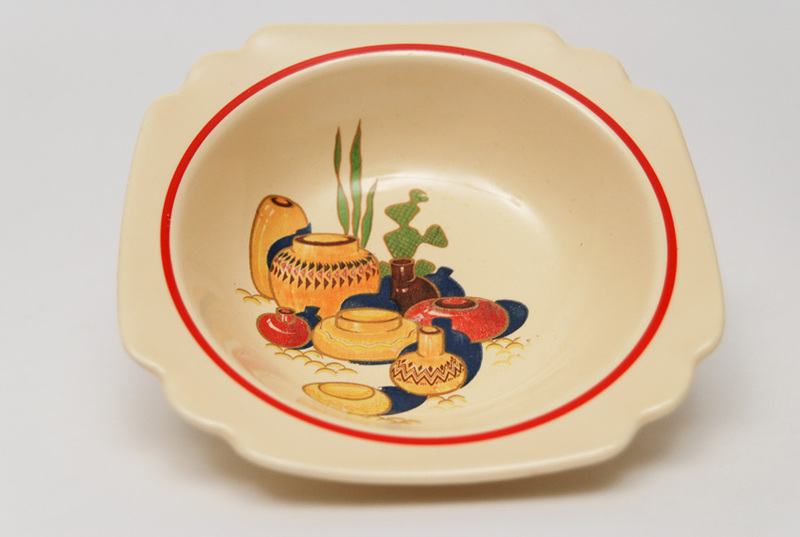 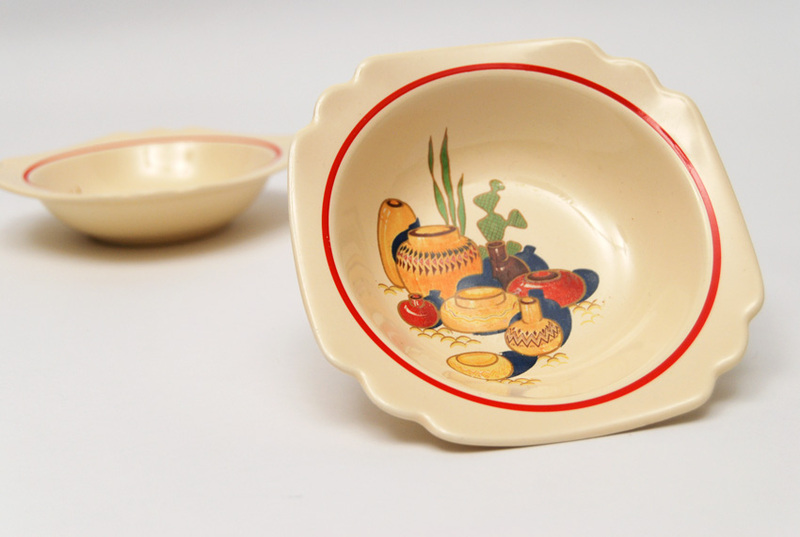 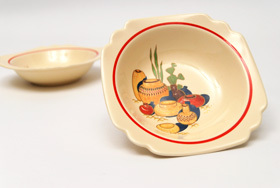 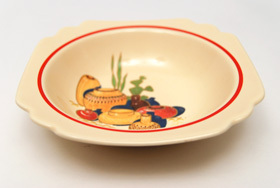 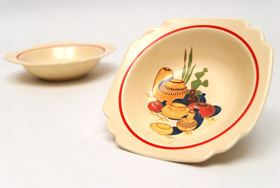 Add to it a hand applied cold painted red stripe and the delicate shape of the Century/Riviera Berry Bowl and you have a delightful piece of Americana dinnerware. 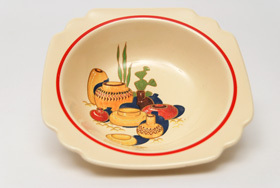 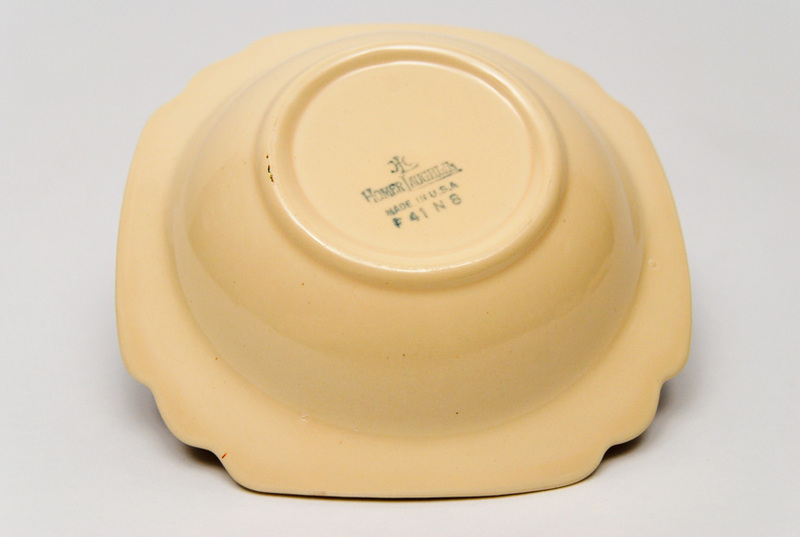 This example is in very nice condition without damage or distracting wear.